A light yet intensive facial oil for all skin types especially dry or mature skin and rosacea sufferers. Very very light with a silky skin after-feel, use for whole face and neck area at night and really notice the difference in the smoothness of your skin the following morning. Toning rosa canina, argan and evening primrose oils combine with powerful vitamins to soften the complexion and improve skin texture and elasticity. Skin soaks up the nourishing goodness in this sinks-in-fast blend. 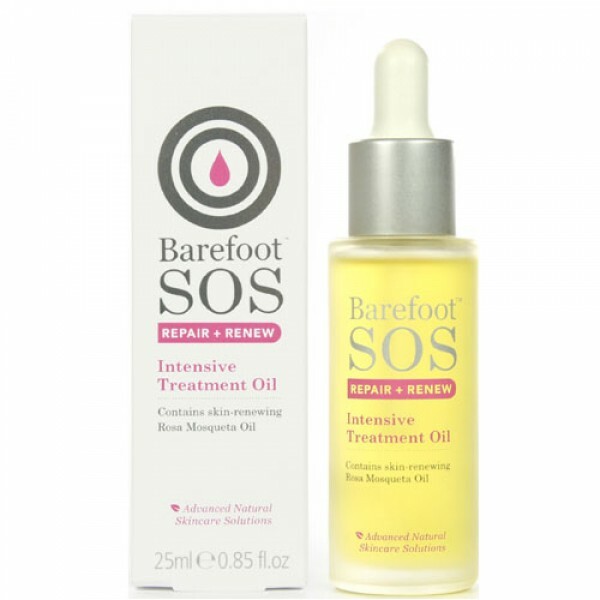 The new name for Barefoot Botanicals Rosa Fina Face and Décolletage oil now with 25ml for the price of the original 15ml bottle. Apply each night to the whole face and neck. Beauty Expert Tip: Can be used to soothe sensitive skin after waxing or when skin is peeling after sun exposure.